Welcome to Kentucky and Bourbon Country! The suite includes your own private walkout basement apartment, nestled in a quite subdivision. The suite is centrally located near many events and activities, including the Kentucky Bourbon Trail, Jim Beam Distillery (10 minutes away), Four Roses Bottling (5 minutes away), Bernheim Forest and I-65 (10 minutes away). We are conveniently located 15 minutes northwest of Bardstown, the Most Beautiful Small Town in America. The suite can accommodate up to 4, but is perfect for 1-2 people. Amenities include one queen bed with memory foam mattress, kitchenette with fridge, microwave and sink, coffee bar for that morning cup of joe, private bath, living area with a cozy couch, fireplace and flatscreen TV. Also enjoy your own cozy patio overlooking the beautiful wooded backyard with hammock chairs and fire pit. Of course there is free wifi and off street parking in a private driveway. 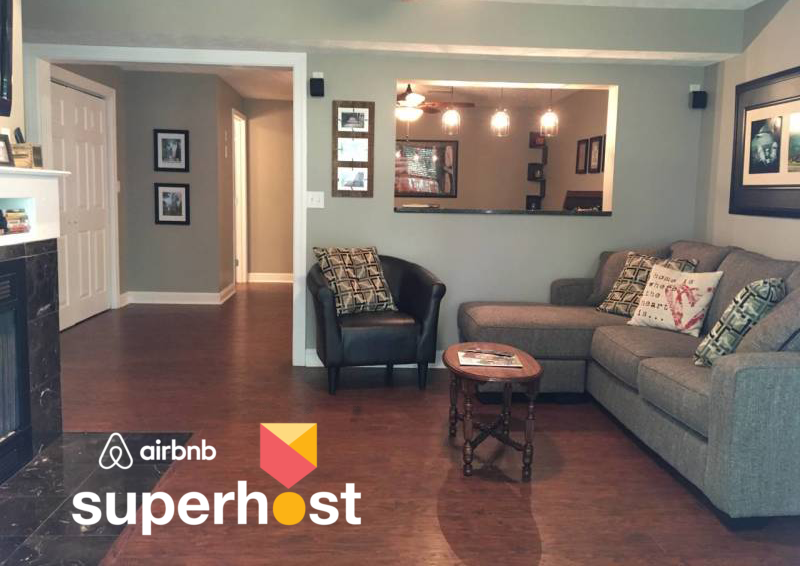 Stay with us and enjoy being hosted by an Airbnb Superhost!